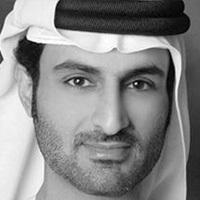 Majid Saqer Al-Marri, Emirati, is responsible for the promotion of the real estate market of Dubai and the gathering of developers under the umbrella of the Dubai land department in order to strengthen and enhance communication between stakeholders in the sector by focusing on real estate projects for the Emirate of Dubai. He has extensive experience in tourism, real estate investment, development and promotion, stakeholder relations, international operations, events, hotel classification and in the implementation of hotel standards in Dubai. He also is experienced in strategy setting, banking and public relations locally and internationally. Majid graduated from the London Business School and holds a Masters in Business Administration. He completed the leadership program from the Dubai School of Government in conjunction with Harvard University and the John F. Kennedy School of Government. He’s one of the fifty biggest names attached to the hospitality industry in the Middle East today and ranked in the 16th position by Hotelier Middle East’s “Middle East Power 50”.